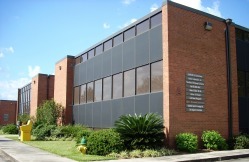 Established in 1988, we have been serving Lafayette and the surrounding area for over 20 years. Specializing in small to medium size clients, we take great pride in providing a variety of accounting services and assisting clientele in achieving goals by serving their customers as efficiently and profitably as possible. Many prospective business owners don't realize what is entailed in owning and operating their own business. They may be experts at their trade, but the complexities they face in owning a business are many. We offer many services which include the easing some of those complex issues with beginning and keeping an ongoing business in compliance with all of the federal , state and local tax and reporting requirements. We believe that personal service is the most important part of any business and without it, customers will not remain loyal. That is why we strive to keep our services personal but professional and hope that once you meet with us, you will walk away feeling like a person and not just a number. We welcome any questions or comments you may have. Feel free to contact us at any time by clicking on the link above.